Current selected tag: 'lips reference'. Clear. 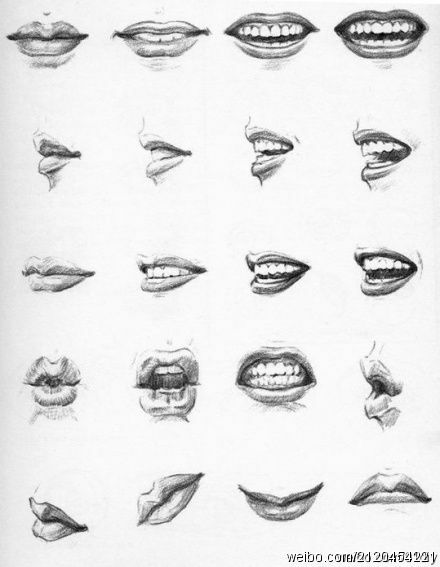 A simple reference guide you can use to draw the lips on your portrait drawings. Each image expresses a different emotion and will help you gain a better understanding of the anatomy of the human mouth. This simple tutorial shows you how to draw lips in 7 simple steps. The tutorial also includes a comprehensive video that explains the process of adding details to your lip drawings. This is a great practice tutorial for any portrait artist. done in Paint tool SAI my others pictures and tutorials - Thank you very much Welcome on my Facebook page WELCOME ON MY YOUTUBE PAGE !! !